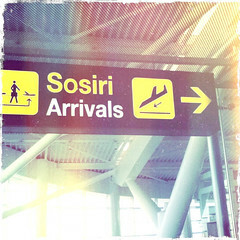 H enri Coandă International Airport (formerly known as Otopeni International Airport) is the main gate to Romania, and for many tourist it’s the trigger of the first impression about the country and its inhabitants. I’m not that kind of guy overwhelmed by the first impression, therefore, in the light of recent events, I would like to help all the foreigners pass over this putting together a short guide of how to manage their arrivals in Romania. Especially on the Henri Coandă International Airport. For me, as a Romanian, it’s a sad thing since I’ve seen all the sides of the country and I’ve met all kind of people, and I know that out there are friendly people ready to share their home with you or give you an extra hand of help when necessary. First of all, take note that the only airlines operating flights to/from Otopeni International Airport that provide internet services during their flights are Lufthansa and British Airways. Also, before boarding for any Bucharest flights, especially with Tarom airline, let your friends/contact people in Bucharest know about your arrival, that’s because usage of GSM devices are not allowed yet during the flight. With these in mind, document your trip before the flight and gather all the necessary information using smartphone apps that are working offline or note them down on your notebook. Second, although I am sure that the worst case scenario is not on your travel plan, it is better to be prepared for everything that may occur, therefore keep at hand Your Passenger Rights mobile app and always chose a travel insurance. If you would like to see on the go if your flight arrival is synchronizing with any of the transport solution, you should install Romanian Airports too on your phone or any other mobile app that can display the arrival time for you. 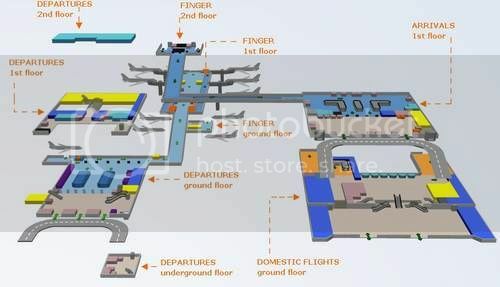 Once the check-out process ends and luggage is picked-up, you’ll step up in the arrivals area of the airport where inhabitans and companies are expecting their guests. If somebody is expecting you, then you are more lucky than other visitors that should handle the airport take-off on their own. For this group of travelers there are severals ways of leaving the airport behind and heading to the city: by taxi, by bus or by train. The transport choices and additional info are first available in the luggage pick-up area. 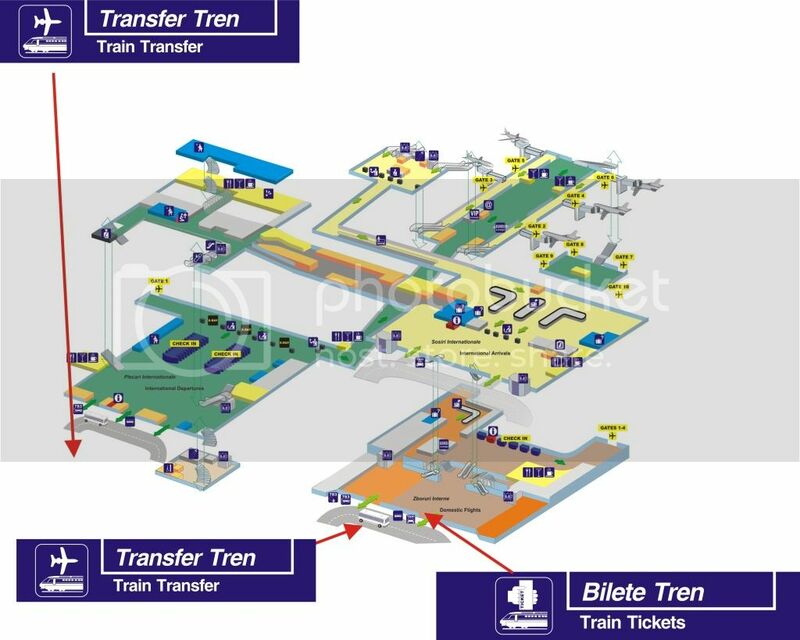 From here you will follow direction plates until the ticket kiosk and airport information desk. The following guide has been build around online tools and mobile apps that were subjects in the articles on this blog. call for a taxi after your arrival. Take a regular taxi after drops somebody off at the Departures Terminal (Departures Terminal picture below). Note: if you call for a taxi, you should be either outside the airport area (near one of the parking spots) or outside the Departure Terminal. This is because the regular taxi drivers are not allowed to stop the cars in the terminals area and therefore can’t wait for you. a functional fare meter started when you get in the car. 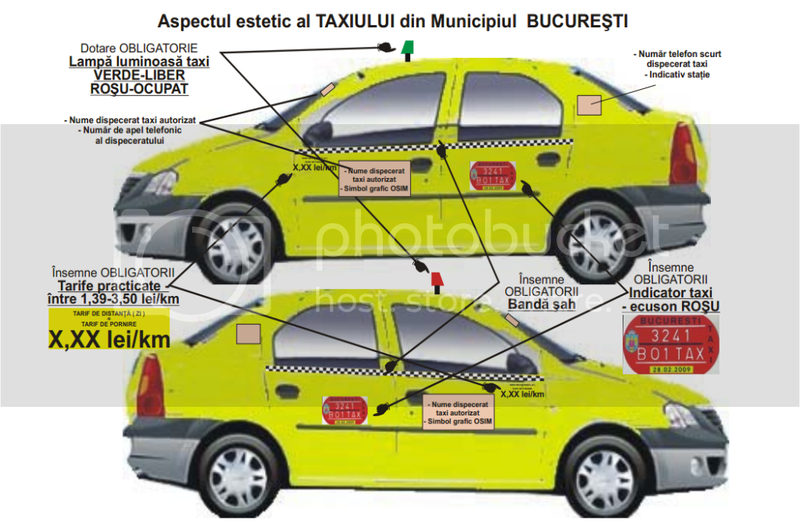 All of the above elements can be found in the below image extracted from the taxi user’s guide available on the city hall website (.pdf file, only in Romanian). In addition, ignore the trolling taxi drivers that are very persistent when it comes to drive you at your destination. Do not let them take your luggage or touch you. Authorized taxi drivers are not allowed to enter in the terminal and approach customers. They are waiting in line in their taxis just in front of the Arrivals Terminal (see picture below). Also, under no circumstances, do not get in the taxi with a stranger other than the taxi driver. 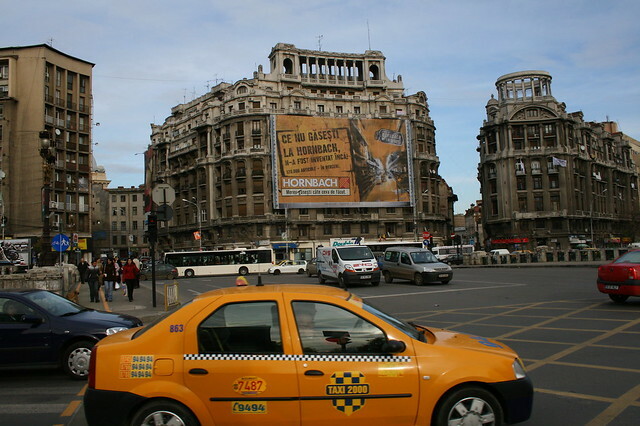 You can read more about the taxi culture in Romania in this blog post from Sam cel Român. Online tools: RATB Route Planner (public transport company website, now integrating the solution offered by transporturban.ro), ratbnav.ro (usefull tool for identifying links with other buses of trolleys), transporturban.ro (subway network included). Go to the bus station (ground flour) in front of the Arrivals Terminal and get the bus. You can use all the above mobile apps free of charge (no data plan necessary) staying near by the tourist info kiosk from the Arrivals Terminal, public area. Besides the fact that you can search for accommodation and other travel info, the kiosk is also working as a hotspot. If necessary, do not hesitate to ask for help directly to airport personnel not other tourist and inhabitants. I am sure that there would be people saying that this is another ordinary guide, but I am also aware that many other guides are not complete or are too complex and hard to follow. I believe that this guide is simple and in the same time efficient, bringing a plus for the travelers’ safety. I can’t say it’s complete, but it will be updated on the go, once the information is confirmed by different parties. This kind of guide is something in the responsibility of the authorities in other countries. In Romania, the authorities close their eyes and are focusing on short term actions with low investments. 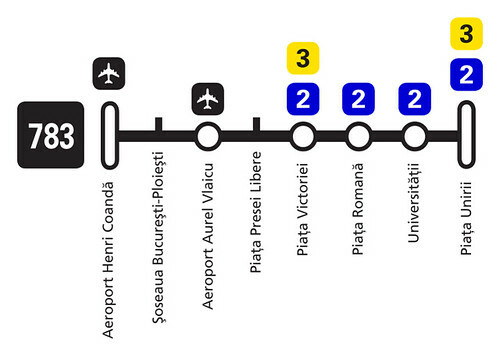 It is a shame that the Henri Coandă International Airport does not have a decent online map helping the passengers to guide themselves through various points of interest from the airport. What can we say about the missing tourist info point and about the not so active security personnel? Until we will find some answers, other events are speaking for us. Fortunately, I and some other fellow bloggers are trying to change how the things are going. 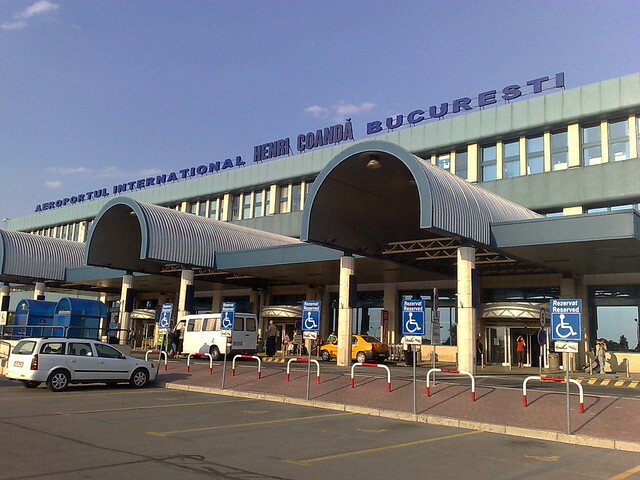 This article is part of a blogging campaign initiated by the Romanian tourism bloggers as a signal on the anomalies from the Henri Coandă International Airport, main gate to Romania. Please feel free to spread the word by sharing on all of your communication channels this article and the ones published today on George Popescu-Orodel’s blog, imperatortravel.ro, funtur.ro, Liliana Oprișan’s blog, turistu.ro, 1001calatorii.com, drumliber.ro, travelwithasmile.net, turismmarket.com, thecitybreak.ro, travelgirls.ro, Bogdan Surdu’s blog, wafu.ro, lumeamare.ro, Enciclopedia Călătorului Independent, contributors.ro, elenaciric.ro, blog.paravion.ro, lipa-lipa.ro, xplorio.ro, blogdebucuresti.ro, viajoa.ro, trans-ferro.com, vulpitza.ro, airlinestravel.ro. 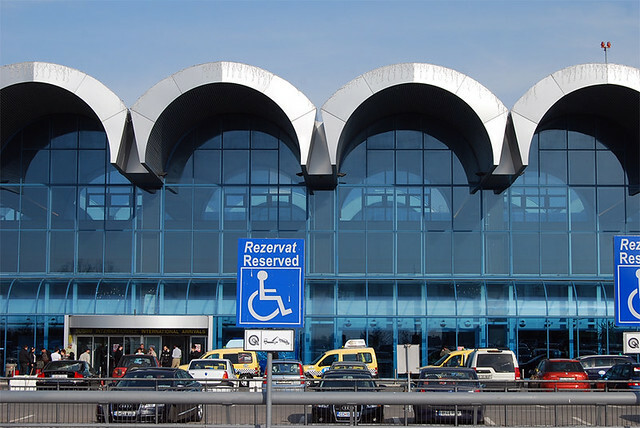 Pingback: Aeroportul Henri Coanda | Schimbati poarta de intrare a Romaniei ! Pingback: Opriți mafia din Otopeni! Express bus 783 has non-stop schedule since april 2012. During the night, the bus runs every 40 minutes, and the ticket ofice is open all night, both at the airport and at Unirii station. The schedule on the ratb website was not updated, unfortunately. Apollo, good point. I’ve added the info related to express bus 783 in the article.